Mike has been active in community theater for almost a dozen years, as an actor, singer, dancer, producer, director, set and prop builder, board member and floor sweeper. Most recently he directed I Hate Hamlet for the Village Theater in Canton, and acted as Inspector Fluke in Flapper for the Still Got It Players in Canton. 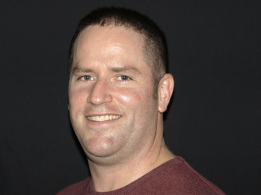 Mike is thrilled to be able to direct the talented actors at Barefoot productions. Thanks, Jane! This is Joe’s first performance with Barefoot Productions. He has also performed with Spotlight Players and Spotlight’s Still Got it Players. His last shows were Gangster Priest, One Foot in the Gravy, Old Hams Murder Can Be Habit Forming and Oklahoma. He has appeared in dinner theatre and shows throughout the Metro area. 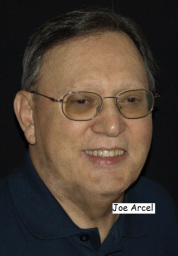 Joe, is thrilled to work with such a high level cast and thanks Mike Cuba for this fun Thespian experience. He gives a big ‘thank you ‘ to friends and family for their continued support. Barbara is thrilled to be making her Barefoot Production debut. She is the Managing Director for “Spotlight on Youth”, a youth theater operating at the Village Theater in Canton producing five shows each season as well as camps and classes for youth ages 5 and above. Some of her favorite “Mike” shows include Penny in You Can’t Take It With You, Sky in Reunion at Hippie High and working on Rehearsal for Murder and Harvey. Favorite straight roles include Clairee in Steel Magnolias, Ida in Cemetery Club, Stella in Divine Stella Divine and Vera in The Oldest Profession. She give a special thanks to Mike Cuba and the talented cast and crew for all their hard work, support and making this so much fun! Marian's love of acting started with her role as the mother in Steel Magnolias almost 20 years ago. In between, she has played many characters, from a nun to an aging prostitute. Now, she has returned to the South and found herself again among the epitome of "girlfriends". What a great place to be....with these loving, supportive women who stick together, no matter what! Y'all break a leg! Betsy is making her Barefoot Productions debut as Bunny Sutherland. 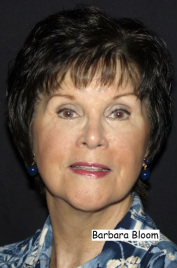 She has appeared regionally in opera, operetta, and musical theatre productions, including the World Premiere of Father Bingo, in the role of Maggie. Betsy tours state-wide with Michigan Opera Theatre’s Department of Community Programs, and has toured nationally with Prince Street Players. She holds a degree in Economics from Hillsdale College and is a life member of Sigma Alpha Iota music fraternity. 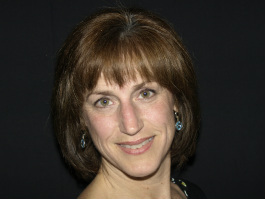 Betsy proudly hails from Dundee, Michigan, where she is Music Director for Dundee United Methodist Church. Betty is happy to be a part of this production of Hallelujah Girls. She has been involved with theater, on stage and off, for over 15 years. 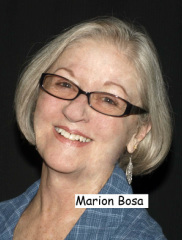 Some of her favorite roles include Poppy in Noises Off, Lenny in Crimes of the Heart, Germaine in Picasso at the Lapin Agile, Martha in The Rimers of Eldritch, and Doris in Same Time, Next Year. 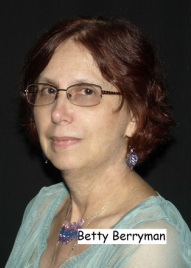 She has been a part of Barefoot Productions for over 5 years and is happy to be back on its stage again. As always, she gives thanks to her hubby for putting up with her passion for theater. This is Sean's third show with Barefoot Productions. His past appearances include Count Yousekevitch in Fools and the Judge/Preacher in The Rimers of Eldritch. When he is not on the stage or taking care of his new baby boy, Blake, he can be found on a golf course or catching the bad guys. Sean thanks his son Dylan for his love of the theatre and his wife Michell for her love and support. He also thanks all the talented cast and crew for their loyalty and hard work. 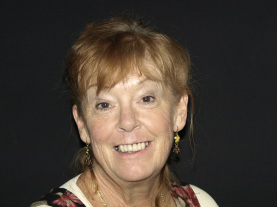 Anne is a newcomer to Barefoot Productions, but not new to the stage. 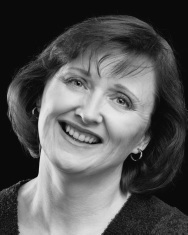 She has a degree in Theatre from Michigan State University and performed with the Players Guild of Dearborn, Ford Chorus, Stagecrafters, and Oak Pointe Players. Anne has had roles in Kiss Me Kate, Anything Goes, Sound of Music (1996), 1940's Radio Hour, Baby, Evita, Sound of Music (2012), and Fiddler on the Roof. While her true love is the stage and singing, Anne spends most of her time at DFCU Financial in Human Resources. Many thanks to Ken Urban who prompted her to return to the stage after a lengthy hiatus.